Send in the (Trained) Cavalry! In the U.S. Civil War, one of the frustrating experiences for the Confederate troops centred around their cavalry. 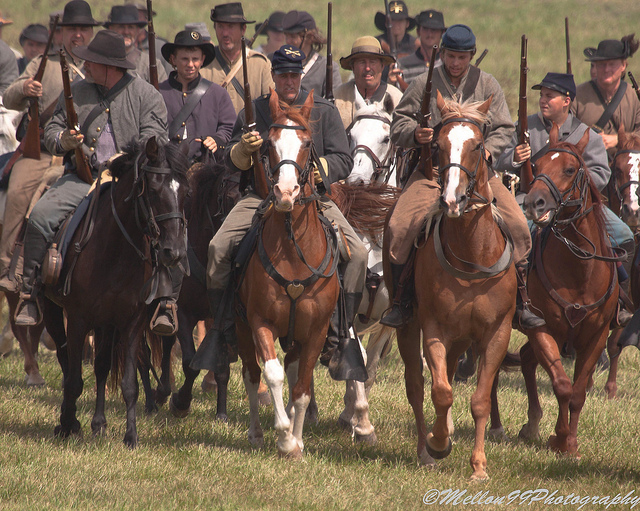 The Confederates generally had the upper hand when it came to cavalry. After all, southern states were built around agriculture and many young men grew skilled in riding horses. Unfortunately for the South, the riders who joined their cavalry units tended to be free spirits. They were excellent riders, but undisciplined soldiers. Their capabilities had never been corralled. The result was sometimes counter-productive. In fact, Governor Zebulon Vance of North Carolina (a Southern State), lamented the destructive impact the Confederate cavalry was having on his own state. What was true for Confederate soldiers is also true for servants of Christ. Half-armed, half-disciplined leaders can inflict a great deal of unintended damage. Passion must be harnessed; abilities must be disciplined. Otherwise, those who mean well in ministry won’t always do well in ministry. Bible school and seminary education help men and women become battle ready for life and ministry. Students learn how to use the Sword of the Spirit wisely rather than rashly. They develop a greater capacity to communicate God’s truth in a way that strengthens God’s people. The rigours of academic study help develop the discipline needed to live by priorities and live with perseverance. If the soldiers who rode with the cavalry needed training, how much more do the men and women who carry the message of Calvary need it! 2 Responses to Send in the (Trained) Cavalry! Well written and right on the mark. From another analogy, why do we let men and women use a spiritual scalpel (the Sword of the Spirit which cuts deep and judges the thoughts and attitudes if the heart) without proper theological and practical training? We need an army of men and women who rightly divide; correctly handle the Word of Truth. Indeed my brothers! As one who has never lacked for passion nor willingness to wield that Sword I have discovered the absolute need to be disciplined and trained. I thank God daily for the men (and the wife) He has placed in my life to teach me these truths. As I have been leading the Life’s Healing Choices classes last Spring and beginning again in September I have been sharply aware of God’s Guidance. It is not and never has been about me . It is all and always about Him!